Pattern Alert: Wearing History shorts! Ooh – look what popped up in my browser today! 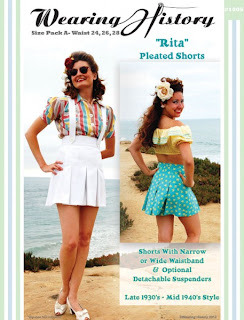 Wearing History is showing previews of a new pattern for pleated vintage-style shorts! The Rita Pleated Shorts are pretty much the shorts-of-my-dreams.